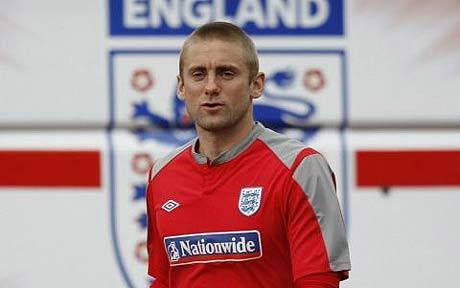 It’s no surprise this morning that Rob Green is featured on a lot of newspaper front pages. His howler towards the end of the first half of England’s game against the USA gifted the Americans a point in a 1-1 draw. Although Green’s error cannot be overlooked as the reason England did not win the game, the team’s performance on the whole left a lot to be desired and showed little productivity after the first 15 minutes or so. Rooney was anonymous for the first hour, Gerrard and Lampard in the centre of midfield gave away too many chances, and Jamie Carragher looked well out of his depth. It all started off really well, with Emile Heskey, a man who has received a huge amount of criticism from a lot of people in the past (me included), sliding a neat ball through for Steven Gerrard to poke past the oncoming Tim Howard on four minutes. Heskey, for a lot of the game was arguably England’s best player. He held the ball up well, played simple passes, many of them being completed, and looked to have put his criticism behind him, although later putting a shot he probably should have done better with straight at the goalkeeper. Glen Johnson, another one of England’s better performers, made several advances down the wing, at one point cutting inside and producing a decent save from Howard in the American goal. The Americans pushed on, especially down the right wing, with James Milner picking up a yellow card and later being substituted, simply not being able to handle his opposing number. The equaliser came when Clint Dempsey’s speculative shot was fumbled horrendously by Green into the net and the game was level. The second half was fairly even with both sides creating chances. Green did bring his performance back somewhat, making a fantastic save from Jozy Altidore, tipping his goalbound shot onto the post. The number of times the Americans broke through the English defence was worrying, with Terry and King in the first half, and Terry and Carragher in the second, struggling to keep up with the quick attackers. The latter was lucky to stay on the pitch, when he brought down Altidore just outside the box, having already received a yellow card. The game fizzled out towards the end, with England pushing for a winner, but never looked overly confident of beating the brilliant Howard. A draw was possibly a fair result, but in many people’s eyes, not good enough. England will have to up their game should they progress, as a better team than the USA will surely punish them. Earlier in the day South Korea brushed aside a Greek team that needn’t have turned up. There was simply no drive from the Euro 2004 winners. The Koreans took an early lead when a free kick was poked in at the far post. The speedy Korean attack looked reminiscent of the team that exceeded any expectations eight years ago when they reached the semi finals. Manchester United’s Park Ji Sung was the orchestrater of many of the Korean attacks, linking well with the wings and strikers. It was deserving then, when seven minutes into the second half, he intercepted a poor touch from a Greek defender, rounded two more and prodded it past the onrushing keeper, sealing the win. Greece look like favourites to finish bottom of the group on this showing and now have to get something from their match against Argentina to stand a chance of making it through to the knock out stages, something no-one expects. Argentina were in action in the afternoon, facing a Nigerian team who were short of their midfield playmaker John Obi Mikel who has been ruled out of the tournament with an injury. With many expecting the strike force of Messi, Tevez and Higuin (who between them scored over 100 goals last season), to dispatch of the Nigerian defence with ease, it was somewhat surprising that the game finished just 1-0 to the Argentines. Even more surprising was that it was none of the aforementioned strikers that scored the goal. Just five minutes had passed when a completely unmarked Gabriel Heinze powered in a header from a corner. Messi did show glimpses of what he could do, however. The little striker frequently made his way through the back four with ease, but each time could not convert his chances into goals. Nigerian keeper Enyeama will take the plaudits for keeping the Argentina strike force out, making save after save, demonstrating why interest in him has been high. Nigeria themselves could possibly have scored towards the end of the match, but it was not to be, they just couldn’t find their way back into the game, and Maradona picked up his first World Cup match win as a manager.